The world has changed considerably since the 1980s, when CAD first started displacing drafting tables. The 30+ years that have followed have brought a lot of changes in technology. We have moved away from decentralized desktop workstations that cost tens of thousands of dollars running design software that cost tens of thousands of dollars more. We’ve moved away from sharing data with floppy disks and we’re now using the Internet. Waves of change came fast and are still coming. 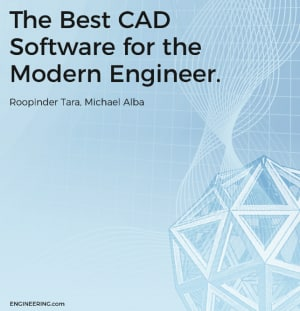 So, in this ever-changing technology environment, how do you make a decision about what CAD package will best serve your needs and deliver the innovative tools that you require to design tomorrow's great products? That question and many more are answered in this eBook. CAD options that are available on the market. The strength and weakness of the biggest CAD packages available to engineers. What considerations you need to take into account when investing in a CAD package. Complete the form on this page to download your free eBook. Your download is sponsored by Redshift, an Autodesk Publication.